Integrated Pest Management (IPM) Programs – There is no better way to keep your properties PRISTINE than with our IPM Program. With this program, a certified arborist is dispatched to your property every month the evaluate and check all possible threats of insect and disease issues and treats those threats on-the-spot. The cost is the same to you no matter how much treatment we use. We recommend this program for any one who wants to proactively keep their landscapes and trees free of insect and disease damage. Insect and Disease Control – Using either organic and natural treatments or synthetic treatments, we are able to get a hold insect and disease that have already started wreaking havoc on your trees, shrubs, and landscapes and stop the damage from getting worse. If these issues are not treated, your trees and plants could die which is irreversible! Emerald Ash Borer Treatments (EAB) – A beetle that has made its way into NJ is eating and killing all our Ash trees. If you have a vital Ash tree on your property that you would like to save, it is important you call us immediately to setup treatment. Using tree injections, we are able to treat your Ash Tree and prevent any damages or further damage the Emerald Ash Borer may have already caused! Invasive Plant Control – Is Poison Ivy or any other invasive plant out of control in your yard? We can help eradicate it with our invasive plant control programs. A certified applicator will be dispatched to your property as many times necessary to keep it from growing back! Fruit Tree Programs – With Pristine’s treatment plans, we can help get your fruit trees blooming with ripe and healthy fruits again! Tree Preservation – There is a lot of important factors when it comes to tree preservation that you may not be aware of. such as compaction, root damage or root loss. Keep your trees healthy and thriving with a tree preservation program. Only ISA Certified Arbrorists will be dispatched to your property to handle any tree issues! 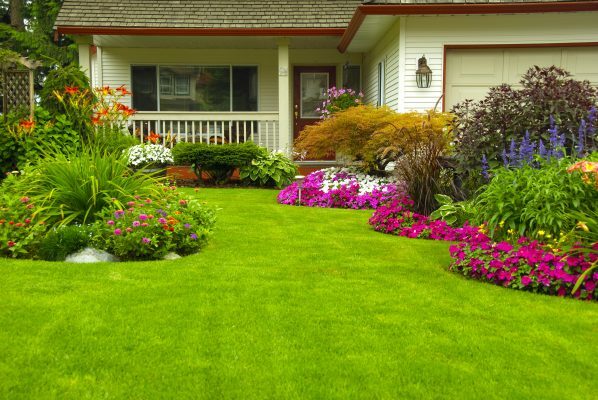 Deer Protection – Keep those pesky deers from eating your beloved flowers and shrubs with our deer protection service! This is especially important in the Winter and Spring months! Aeration and Over-seeding – It is important to have aeration and over-seeding done on your lawn to ensure proper air flow and maximum growth! Tick Prevention Program – Ticks can crawl onto your property any time of the year no matter if we had a mild or cold winter. With our tick prevention program, we spray the perimeter of your property with a preventative solution to ensure the ticks are not crossing into your yard. Our treatment plans consist of 3 visit programs every 60-90 days throughout the Spring, Summer and Fall Months! Stay tick-free with Pristine this year. Book you program online today! Mosquito & Tick Prevention Program – Mosquitoes can be really annoying and make it impossible to enjoy your yard. With our mosquito prevention program, a certified applicator is dispatched to your property once a month to spray the entire yard with mosquito prevention treatment. This also prevents ticks from coming onto your property as well! Book you program online today! We can not tell you how many bad pruning jobs we have seen. An unprofessional pruning job can lead to the loss of you tree or shrub! Don’t let that happen to you. With our certified arborists, you are sure the get a clean, proper, and professional pruning job done to ensure the health and safety of your trees and shrubs! By only using snowblowers and shovels, we are able to guarantee that no damage is done to your driveways and lawns that plows can cause. And, it’s so easy to book snow removal services with us! 1. Email us for a detailed cost of snow removal services with Pristine. 2. If you want to be added to our snow removal contact list for future storms, click “approve” on the emailed estimate. 3. We will send you a proposal every snow storm for you to decide if you want services or not. 5. Our team will be dispatched to your property. You will receive texts when they are on their way, started, and finished. 6. Once finished, we email you an invoice that you can pay right online.